Im not looking to make any political statement. The young lady who was tagged is the daughter of friends (and also longtime Angels fans). She attends high school with my son. What a weird thing to happen in our small town. My son was interviewed by an NBC news reporter on his lunch break, asking about her. I hope her 15 minutes is not uncomfortable. I've been to Weed, California. Yeah, but does she have an understanding of the wall negotiations? Weed, the land of covfefe and hamberders. Damn this president is stupid. Almost as dumb as the people who believe all his b.s. Home to some of the most photogenic highway signs in the state. Meh. I know q lot of the stuff he tweets sounds unbelievable. But when he goes all caps with lots of exclamation points, i think hes telling the truth. Who the hell yells lies, nawm'sayin? 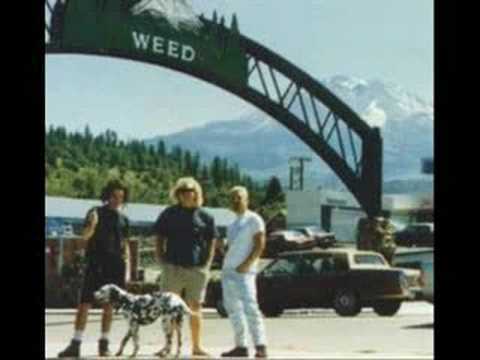 My wife took a picture of me under the Weed sign a few years back in the same place Sublime took theirs. RIP Brad Nowell.